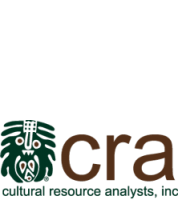 Linear Ancestry of Charles M. Niquette | Cultural Resource Analysts, Inc.
1. Charles Mudge NIQUETTE was born 27 Dec 1950 at Lynchburg, Campbell, VA, US. He married Garland Grier FINCHER on 16 Jul 1977 at Charlotte, Mecklenburg, NC, US. 2. Robert Mudge NIQUETTE married Enid A. ALTWEGG on 24 Aug 1941. 4. Seraphin Clyde NIQUETTE married Ethel Frances THOMPSON, daughter of Sydney Clark THOMPSON, on 10 Jun 1901 at Osborne, Osborne, KS, US. 8. Charles Mudge NIQUETTE was born on 29 Oct 1857 at LaSalle, LaSalle, IL, US. He married Jennie Ellen JONES on 1 Sep 1879 at Concordia, Cloud, KS, US. 16. Venant NIQUETTE immigrated, to Salina, Saline, KS, US, Family immigrated from Quebec via Cornish ME, Wellsville PA, St Cloud MN, Waterloo IA, Garden City KS. He was born on 15 Oct 1822 at St-Sulpice, L’Assomption, QC, CN. He married Elizah Jane MUDGE, daughter of Aaron MUDGE and Phoebe FELLOWS, on 4 Jun 1850 at Mansfield, Tioga, PA, US. He died on 2 Nov 1899 at Fort Smith, Sebastian, AR, US, at age 77. He was buried after 2 Nov 1899 at Lincoln, Lincoln, KS, US. 32. Joseph NIQUET was born on 5 May 1785 at St Antoine, Lavaltrie, Berthier, QC, CN. He married Anne LANGLOIS DIT LACHAPELLE, daughter of Jean-Baptiste LANGLOIS and Josephte BEAUPIED, on 10 Jan 1815 at L’Assomption, L’Assomption, QC, CN. He and Anne LANGLOIS DIT LACHAPELLE lived on 14 Oct 1824 at Lavaltrie, Berthier, QC, CN. He was employed between 22 Aug 1836 and 1860 at at Berthier, QC, CN, Ship captain and farmer. He died on 7 Jun 1860 at St Antoine, Lavaltrie, Berthier, QC, CN, at age 75. He was buried on 9 Jun 1860 at St Antoine, Lavaltrie, Berthier, QC, CN. 64. Joseph NIQUET was born on 23 Mar 1752 at St Frs du Lac, Yamaska, QC, CN. He married Madeleine MASSAN dit Lapierre, daughter of Jean-Baptiste MASSAN dit Lapierre and Madeleine BOURDON, on 9 Feb 1778 at Lanoraie, Berthier, QC, CN. He died on 27 Oct 1838 at St Antoine, Lavaltrie, Berthier, QC, CN, at age 86. He was buried on 28 Oct 1838 at St Antoine, Lavaltrie, Berthier, QC, CN. 128. Toussaint-Claude NIQUET was born on 1 Nov 1708 at St Frs du Lac, Yamaska, QC, CN. He was working under contract on 27 Jun 1728 at (Ouest), QC, CN (Contracted for work in the west). He married Elizabeth COUTURIER DIT LABONTE, daughter of Pierre COUTURIER DIT LABONTE and Gertrude MAUGRAS, on 4 Oct 1736 at St Frs du Lac, Yamaska, QC, CN. He married Marie-Louise RIEL, daughter of Jean-Baptiste RIEL dit Lirlande and Louise COUTU, on 3 Feb 1738 at Lavaltrie, Berthier, QC, CN. He married Louise BASQUIN-BASTIEN on 10 Jan 1757 at St Frs du Lac, Yamaska, QC, CN. 256. Francois NIQUET was born circa 1677 at Trois-Rivières, St Maurice, QC, CN. He married Marie-Claude MIVILLE, daughter of Jacques MIVILLE DIT DÊSCHENES and Marie-Catherine DE BAILLON, on 7 Jan 1699 at St Frs du Lac, Yamaska, QC, CN. He died on 15 Feb 1709 at St Frs du Lac, Yamaska, QC, CN. He was buried on 16 Feb 1709 at St Frs du Lac, Yamaska, QC, CN. 512. Pierre-Réné NIQUET was born circa 1642 at Brizambourg, St Jean d’Angély, Saintes, Saintonge, FR. He immigrated before 1 May 1664, to Trois-Rivières, St Maurice, QC, CN. He purchased land on 5 Oct 1664 at Côte St-Marc, Champlain, QC, CN (purchased from Pierre Ménart, 2 arpents/acres). He and Francoise LEMOINE lived in 1666 at Trois-Rivières, St Maurice, QC, CN (Census; Pierre aged 24 yrs, Francoise aged 22 yrs). He married Francoise LEMOINE, daughter of Antoine LEMOINE and Francoise DE LONGUEMERLIÈRE, on 15 Jun 1666 at Cap-de-la-Madeleine, Champlain, QC, CN. He was working under contract on 4 Sep 1667 at Champlain, QC, CN (Carpentry work; signed with Abraham Callaut). He died on 21 Oct 1722 at St Frs du Lac, Yamaska, QC, CN. He was buried on 22 Oct 1722 at St Frs du Lac, Yamaska, QC, CN. 1024. Michel NIQUET was born circa 1620 at Brizambourg, St Jean d’Angély, Saintes, Saintonge, FR. He married Catherine MONTIS circa 1640 at Brizambourg, St Jean d’Angély, Saintes, Saintonge, FR. He died after 15 Jun 1666 at Brizambourg, St Jean d’Angély, Saintes, Saintonge, FR. He was buried after 15 Jun 1666 at Brizambourg, St Jean d’Angély, Saintes, Saintonge, FR.